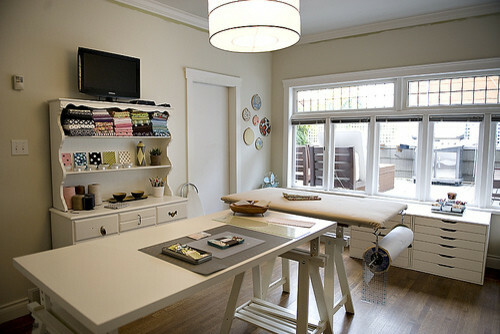 I love looking at other people’s sewing and crafting spaces. I came across a site full of home decorating ideas and thought I’d share some of the spaces with you. 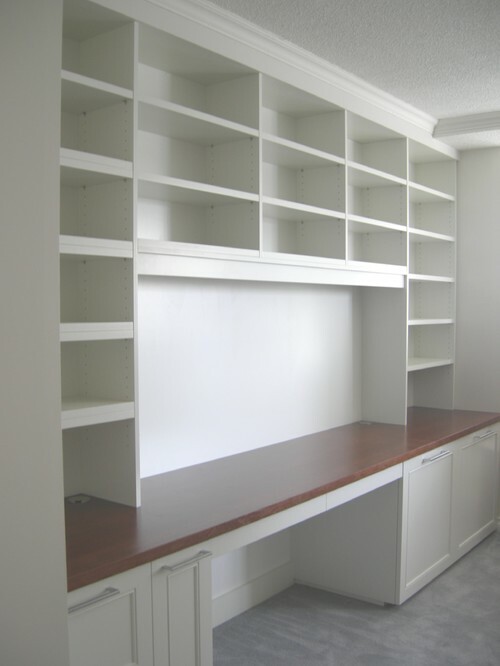 So many of these spaces use IKEA furnishings, this one is no exception. The drawers near the window are from the Vika Alex line, the table top from Vika Amon and legs from Vika Artur. The same trestle leg is used for what appears to be an ironing board, with a roll of tracing paper handy from below. One of the cool things about the Artur legs is that you can adjust each side separately to put the table top at an angle if you like. I have a set of drawers from the Alex line and a couple of the Vika Amon tables in my sewing space now and they’ve held up well. Traditional Living Room design by Grand Rapids Architect Visbeen Associates, Inc. 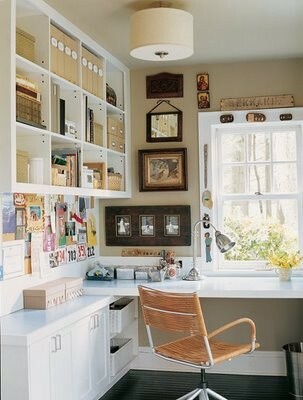 This room looks like IKEA Expedit shelves in white with the Vika table top in the center island. I love the huge safety pins on the wall in this one! Having the laundry machines easily accessible to the sewing space is a plus here. Being able to toss fabrics in for prewashing is great, and if you use your washer for dyeing materials, the proximity is great. 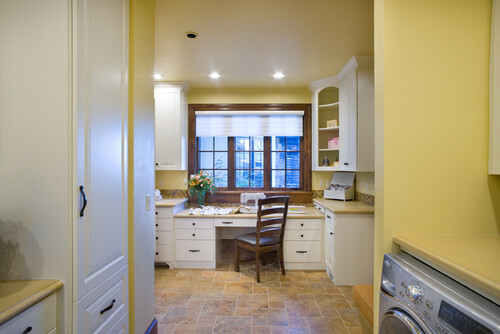 In my mind’s eye, there’s a sink in that laundry space as well. The other thing I love is the natural light. Lots of counter workspace for sewing and embroidery machines with a nice island for cutting fabrics here, but I also love the window seat. I see one of my kids cozied in there with a book or just coming in to talk about their day while I’m working. 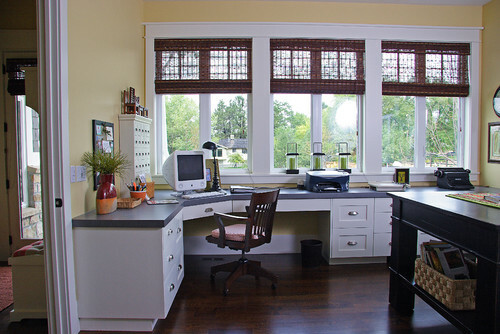 Home Office design by Toronto Kitchen And Bath Kevin Karst Design Inc. The shelves in this room go all the way to the ceiling, love those. 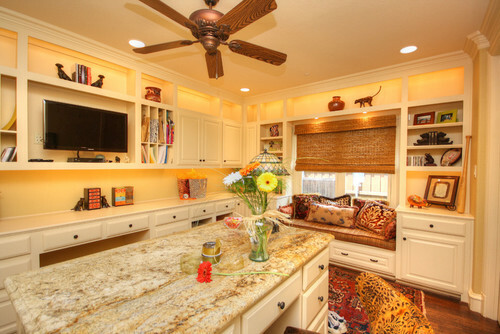 And in the corner, the cabinets change into open shelving to use the available space under the countertop desk area. Giving the sewing machine it’s own little garage is a great idea. I’d love to see it with a roll top (like the classic bread boxes) or with doors that open and recess into the cabinet, though. I see my clumsy self hitting my head on the raised cabinet door in this setup. The pull out board for cutting (or ironing?) is a wonderful extension of space. 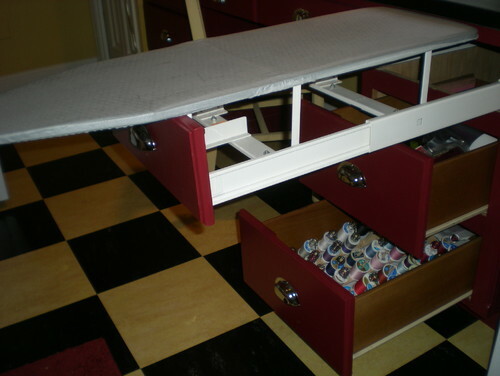 I like the idea of a large ironing board that pulls out from a drawer, but I’m not sure about this one. What do you think? There are, of course, about a zillion more. 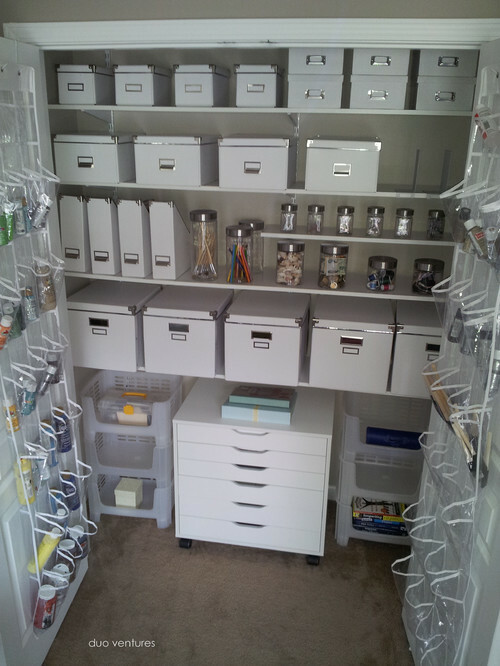 321,889 filed under “craft room” to be exact. Here’s a link – just try not to stay there surfing all day, there’s sewing to do!